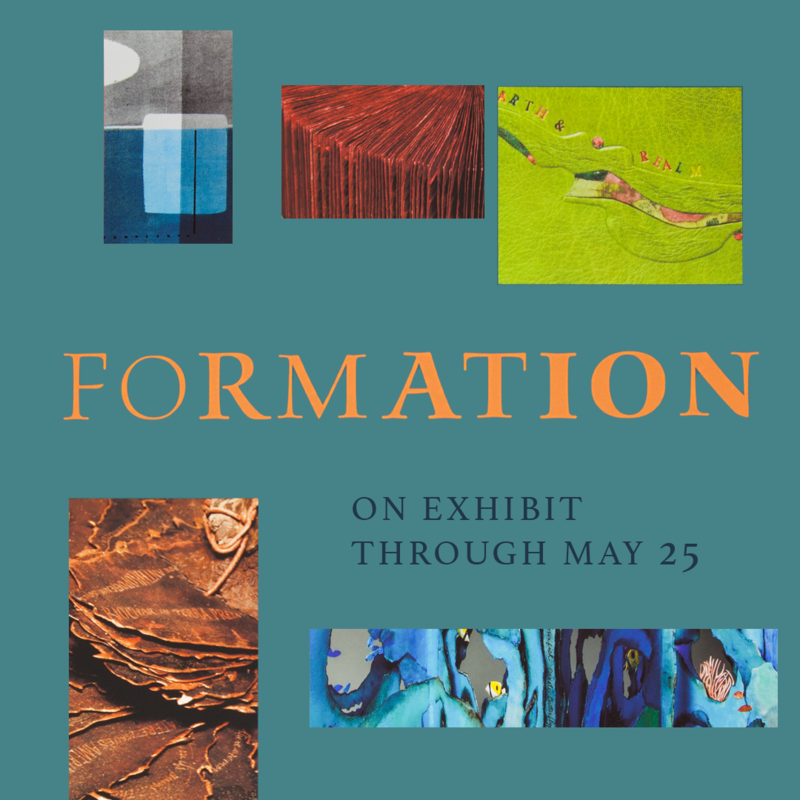 Defined by Merriam Webster as “an act of giving form or shape to something,” the word “formation” can convey process, history, creation, change, beginnings, an arrangement, botany and landscape, personal narratives, and impersonal storytelling. People, events, and memories all influenced the formation of the book art featured in this traveling exhibit. The works have been created by members of the Guild of Book Workers. Fifty-one items by forty-six members are on view in the Lobby Gallery on the first floor and in UCLA Library Special Collections on the lower level. After leaving UCLA, the exhibit visits the North Bennet Street School in Boston, Massachusetts, and the University of the Arts in Philadelphia. For more information, visit the Guild of Book Workers website at guildofbookworkers.org/sites/guildofbookworkers.org/files/exhibits/frmtn_index.html.